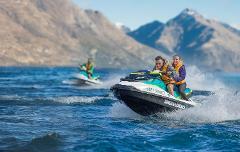 Combine a thrilling ride in the Hydro Attack shark with a one hour all-inclusive guided jet ski tour with Jetski Tours Queenstown. 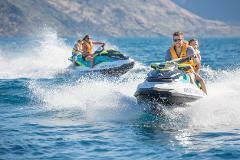 Purchase a Hydro Attack Gift Card that can be used for our one hour jet ski tour. 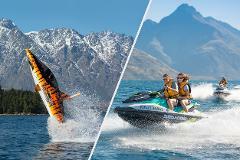 Gift card is valid until the end of the season (31st April 2019). 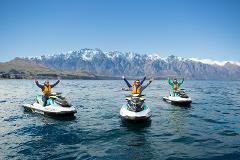 From $179 for a single person jet ski.